The full moneyer's name appears on this coin as ALFPOLD, which is normalised as 'Ælfweald' on the EMC. The moneyer is new for this rare type. A moneyer of this name is only known from Wilton at this period, and if this coin is from Wilton, which is likely, but not certain, then this represents a new mint for the Transitional Pyramids issue. 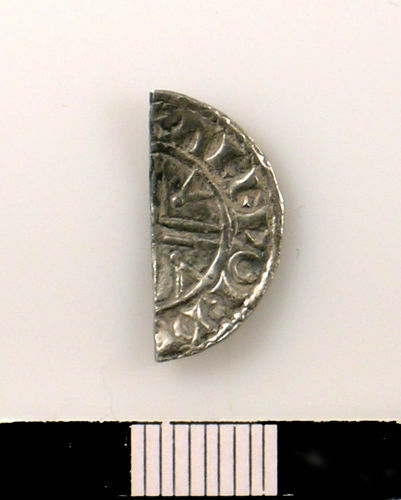 The mints known to have struck this transitional issue (North 835) are Cricklade, Dover, Droitwich, Sandwich, Tamworth, Worcester and Winchester, at none of which is there a recorded moneyer named ALFPOLD. Mark Blackburn from the Fitzwilliam Museum and EMC commented: “I am pretty sure that the reading on this coin is +ALFPOLD[ ] but it could read +ALFPORD[ ]. If it is an R then that is quite a different moneyer, and it could then be a coin of the Worcester mint, where this Transitional type was struck by several moneyers." The attribution to Wilton cannot be settled firmly unless we find a die-link or another coin with the mint inscription, since Alfwold is not such a rare name that it could not appear suddenly at some other mint. However, there is one coin of Wilton of the regular Pyramids Type (which has an identical reverse design to the transitional variety), and that is in the British Museum (BMC 1362). The London and Salisbury moneyers are known in middle issues of the reign (Small Flan at London and Trefoil Quadrilateral and Small Flan at Salisbury). 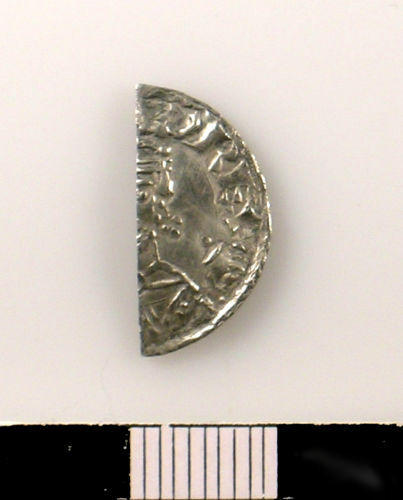 It is possible that the Salisbury moneyer then moved to Wilton, as he is recorded there in every type after Small Flan until Harold II's Pax type. Obverse description: Bust facing, beaded and crowned, [holding a sceptre in the right hand and an orb in the left]. Reverse description: Short cross voided; in each angle, a pyramid springing from the inner circle and terminating in a pellet. Reverse inscription: ALFPOLD, which is normalised as 'Ælfweald' on the EMC.